Making a rare public appearance, George R. R. Martin was a guest at Balticon last weekend, where the author read a new extract from Winds of Winter. But the most intriguing tidbit he revealed to fans wasn’t actually in the chapter—instead, he confirmed a surprising backstory for everyone’s favorite kickass, Brienne of Tarth. 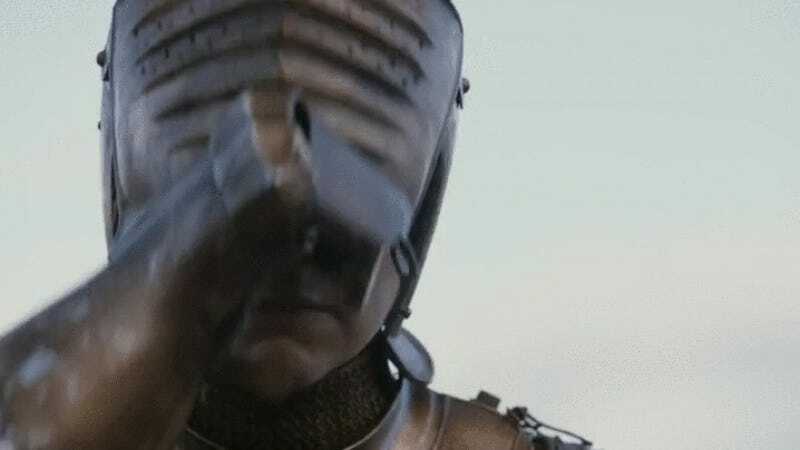 As reported by Vanity Fair, Martin told fans that Brienne’s ancestry stretches back into Westerosi history, and has a connection that is partially responsible for the looming, bulky frame that saw her mocked and scorned before she became a self-made knight. Because apparently, Brienne counts Ser Duncan the Tall, one of the most famous knights in Westeros, among her ancestors. Egg is actually Aegon Targaryen, who starts the stories as a prince well down the line of succession for the Iron Throne, but who eventually becomes King Aegon V. Dunk and Egg travel all over Westeros performing knightly deeds, while the young Targaryen was able to experience his family’s kingdom from a commoner’s perspective.